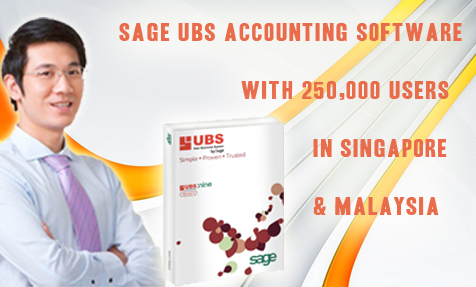 With over 250,000 users of Sage UBS Accounting Software in Singapore and Malaysia, you know you won't go wrong. Sage UBS Accounting Software is a comprehensive package consisting of Accounting, Inventory, Payroll, Point of Sales and much more. Contact us today! Few companies have had as much experience as we have in the accounting software industry. We walk step by step with you in taking your first steps to getting your accounting right with Sage UBS Software. With ICV $5000, you can purchase software for both UBS Accounting & Payroll Software at ZERO cost! We are an ICV Approved Solution Provider w.e.f 1st July 2015. Reduce expenditures with the government grants to increase productivity while lowering company costs. At U Software Solutions, we are SERIOUS in providing good quality Sage UBS Software Solutions and Support to all SMEs in Singapore. Tell us your Sage UBS problems, we will solve it right away. Be confident that our Sage UBS Specialist will be ready to assist you. Are you currently using Sage UBS Software old version and need to upgrade? Leave it to our specialists!